My clients use my services as an editor, proofreader, researcher and writer. They enjoy my versatility, work ethic and fast turnaround. My home base is Salem, Massachusetts, but I work remotely with clients anywhere in the US. Much of my work has been in financial services. I’m often the “fresh eyes” to help clients clean up industry jargon and stay focused on their audience. My client list must remain partly confidential, but it includes both a Fortune 100 company and one of America’s largest private firms. 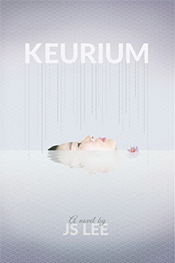 I’m pleased to announce the release of KEURIUM by JS Lee. I provided developmental and line editing for this novel. Shay Stone lies in a hospital bed, catatonic—dead to the world. Her family thinks it’s a ploy for attention. Doctors believe it’s the result of an undisclosed trauma. At the mercy of memories and visitations, Shay unearths secrets that may have led to her collapse. Will she remain paralyzed in denial? Or can she accept the unfathomable and break free? KEURIUM threads through one adopted Korean American’s life of longing and letting go. On a quest for family, sanity and survival, it challenges saviorism and forced gratitude. Woven through its heartbreaking fabric is a story of love and resilience. 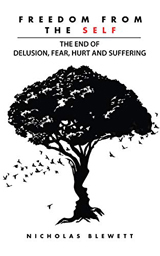 I’m pleased to announce the release of Freedom from the Self by Nicholas Blewett. I provided copy editing and proofreading for this book. Whether or not you are aware of it, most people around the globe are trapped in a cycle of hurt and suffering. They experience an ever-present emptiness, a void, a chronic lack of fulfillment. For centuries, billions of people have sought various solutions outside themselves in attempts to address this immense disorder. Yet the source of hurt, suffering and unfulfillment remains elusive. This book—if you allow it—will take you on the greatest journey of your life. You will inquire deep into yourself to learn the true source of Humanity’s malaise, how to break free from our self-imposed cycle of hurt, and how to embody true love and compassion. Here you will discover the incredible Art of Living. 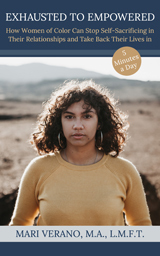 I’m pleased to announce the release of Exhausted to Empowered: How Women of Color Can Stop Self-Sacrificing in Their Relationships and Take Back Their Lives in 5 Minutes a Day by Mari Verano. I provided copy editing and proofreading for this book. Do you often feel as if you give and give to people and have nothing left at the end of the day? Like you just don’t have energy for the people and things that truly matter to you? You’re frustrated with the chaos of your life and the people around you who are always in chaos, all the time. Do you suffer from feelings of worthlessness and anxiety only to have gone to therapists and support groups who tell you that you are being “difficult”? Have you gone to therapists who didn’t understand you and made you feel worse? I Know What It’s Like . . . I’ve been there before—and I counsel many women like you.